8 Bee/wasp proof feeding staions. Base separates for easier cleaning. Will not rust, ready to hang. 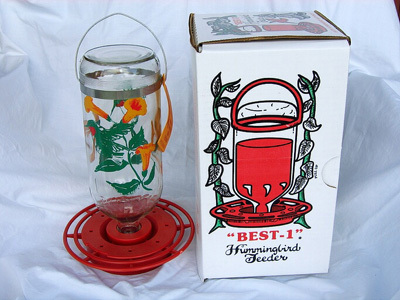 This feeder is painted with hummingbirds.